You can keep your flying cars and jetpacks. The real sign that we’re living in the future? Easy: real-time language translation. Skype just put its version into wide release. 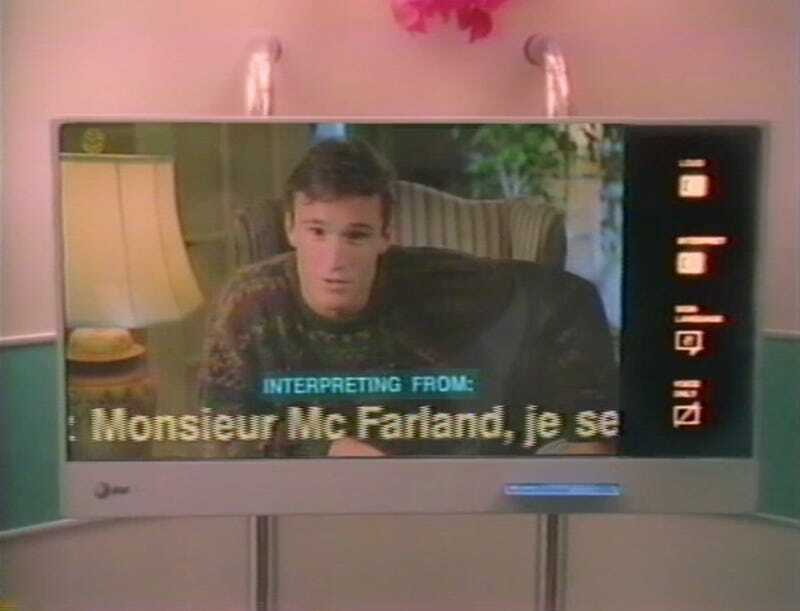 But effortless translation is something we’ve been waiting on for quite some time, as you can see from this 1993 clip of an AT&T concept video called Connections. Perhaps the most antiquated thing about Connections is the idea that we’d have video payphones in public. This seemed to be a common idea for videophones, showing up in that staple of paleofuturism, The Jetsons. Of course, public videophones seem a bit silly when we’re all carrying videophone-capable devices around in our pockets. The part of the AT&T video that’s still a bit too futuristic? Well, the video translation not only includes a written translation, but it converts the person’s mouth movements as well. Nobody’s currently working on that, as far as I can tell. I actually spoke with one of the writers and producers of the video back in 2007. You can watch the entire video below if you’re so inclined.